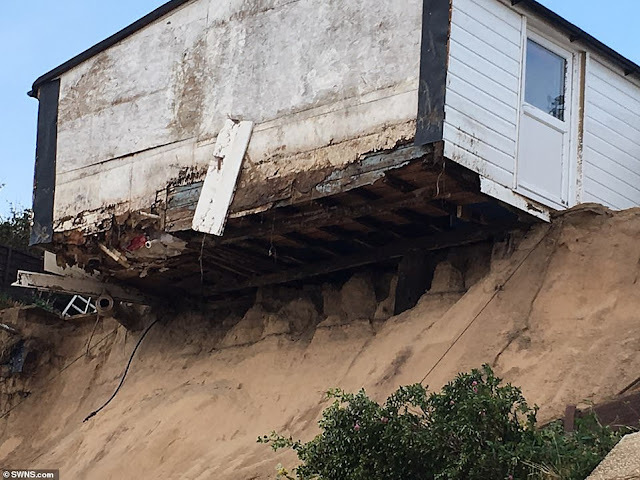 A defiant old soldier whose home faces tumbling into the sea has been ordered to stop doing DIY to protect his property. Lance Martin, 61, had been using a mechanical digger to transfer concrete blocks and piling up sand at the base of a crumbling cliff to protect his bungalow. 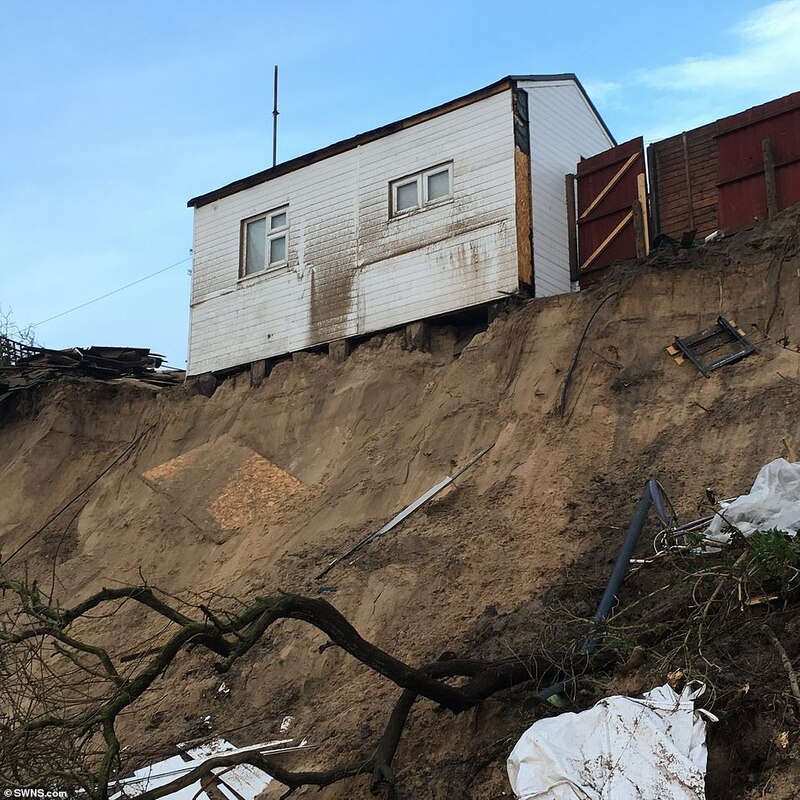 This comes after a number of nearby homes perched on a cliff edge were evacuated and demolished in the aftermath of the 'Beast from the East' storm earlier this year. Bungalows were left hanging from the edge of the clifftop at the Marrams, in Hemsby, Norfolk, where some began toppling into the sea in March. 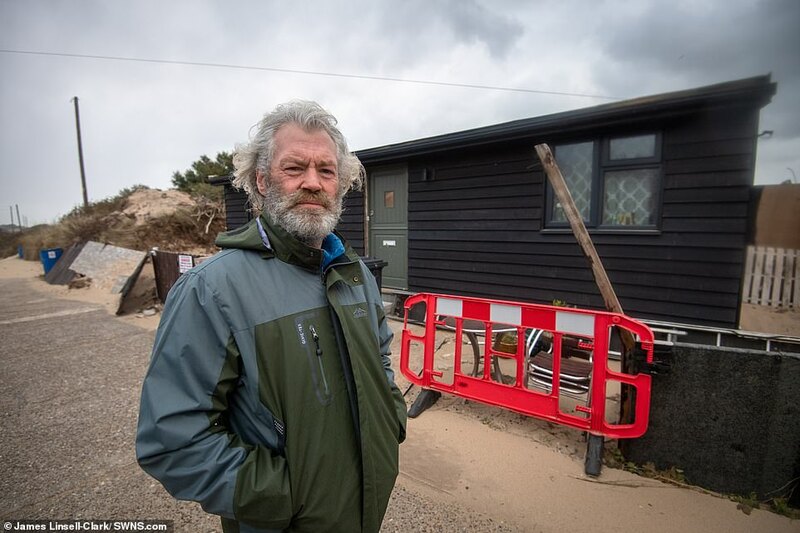 But Lance has now been ordered to stop building his own sea defences by the local council which says he is breaking planning rules. A major demolition of the chalet-type buildings was conducted by the council after the eroding coastline they were built on left them uninhabitable. 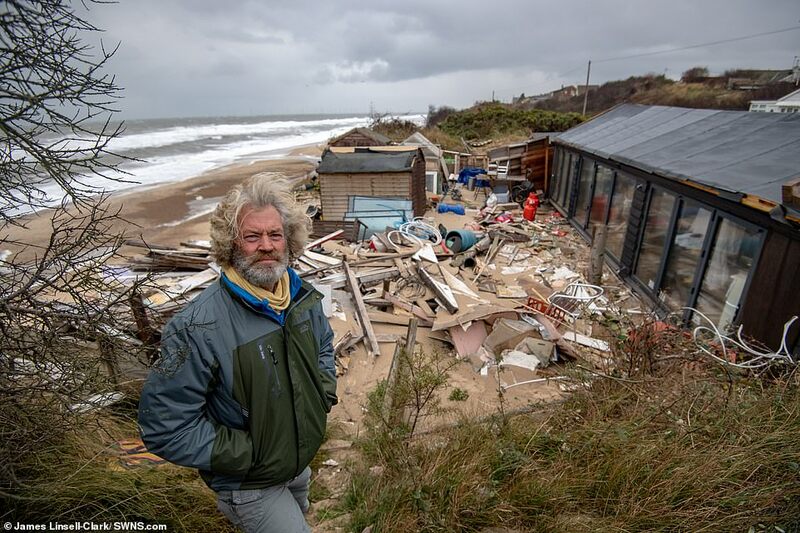 But homeowner Lance managed to salvage his chalet, which he bought as a retirement property and has since been conducting his own work on his house ahead of the winter. 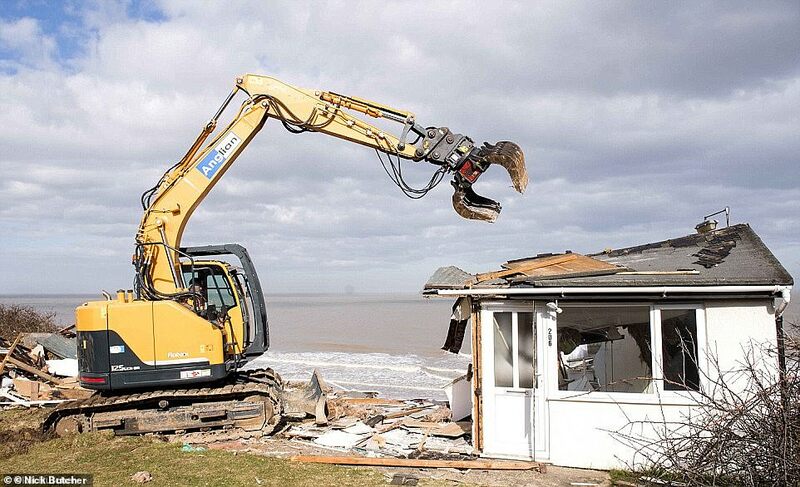 However, the borough council has banned him from carrying out any more work involving the beach. 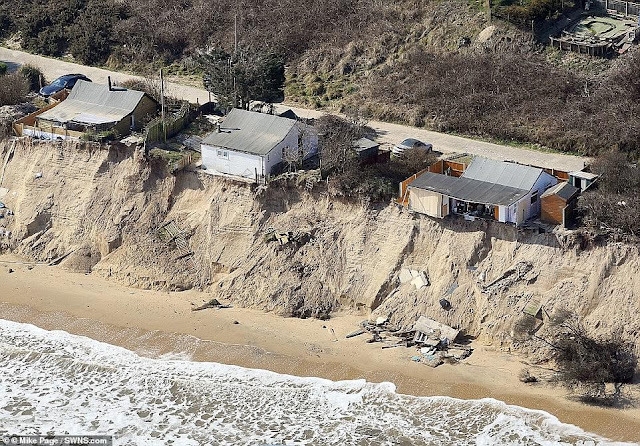 Lance added: 'I know from speaking to the council that they have plans for coastal sea defences but that's going to take at least three years, which is no good to me or other residents. Lance said the concrete blocks ranged from two to three square metres, and weighed up to four tonnes each. With a friend, the former grenadier guardsman started moving the heavy objects on Thursday October 8, and took a week to get them all into position on the beach. He added: 'We got to the stage where we had all the blocks where we wanted them and started to back fill them with sand. 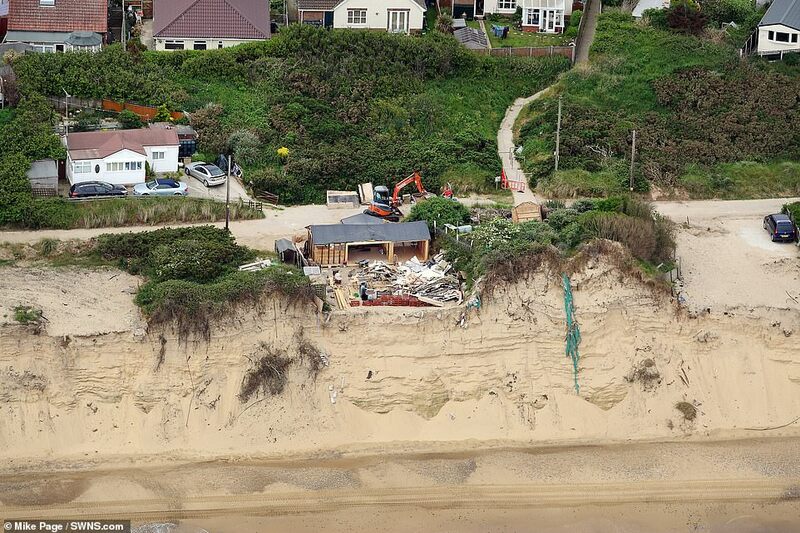 Lance asked the if he could fill in the holes left on the beach for public safety, but the council told him no. He said: 'The problem is that I've gone and done something that I should've applied for but because of the imminent danger to the building and myself, I took it upon myself to do what needed to be done. Lance said that in a council meeting at Hemsby village hall in May, he was told by a councillor that nothing would happen regarding coastal defences for at least three years. 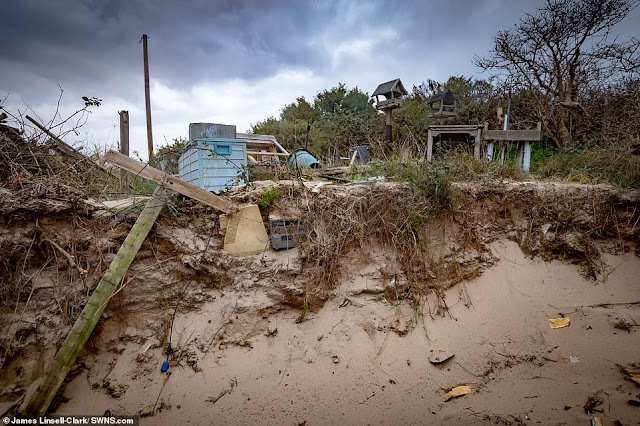 He moved to the spot in Norfolk in November 2017, buying the small bungalow for £95,000. Lance said: 'This is my dream home. When I moved here, I could not see the sea from my roof. The father-of-one, who lives at the property with his partner Vicki, said he moved to the area because he was a keen bird spotter and nature lover. A spokesman from the Great Yarmouth Borough Council said: 'The Borough Council has no record of any related application seeking consent for the works carried out and issued a Temporary Stop Notice, under the powers afforded by the Town and Country Planning Act 1990. 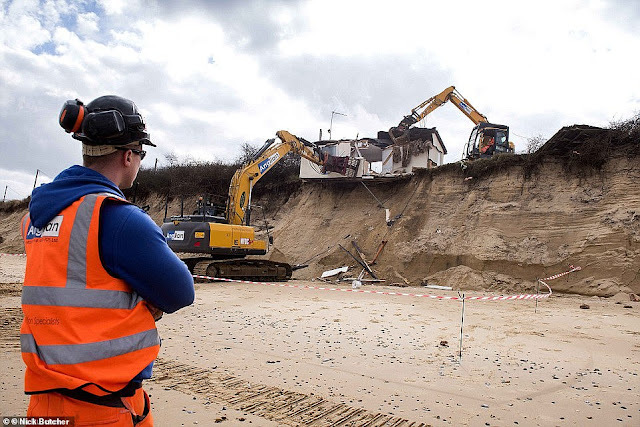 'The notice prohibits any further excavations or engineering operations on the affected land without the prior necessary approval of the Council. 'Whilst the Council appreciates the intention of the works is coastal protection, such engineering works cannot be undertaken without consent.